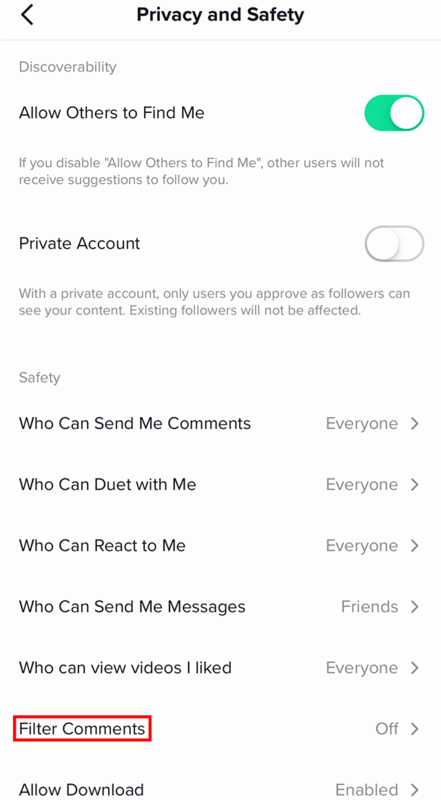 Did you know that TikTok allows you to turn on comment filters on your account, so that comments containing certain words are automatically hidden from your posts? You have the ability to decide which keywords cause a comment to be hidden. Our guide will show you how this feature works. Step 5: Tap the toggle near the top of the screen. Step 7: Type a keyword you want to filter. 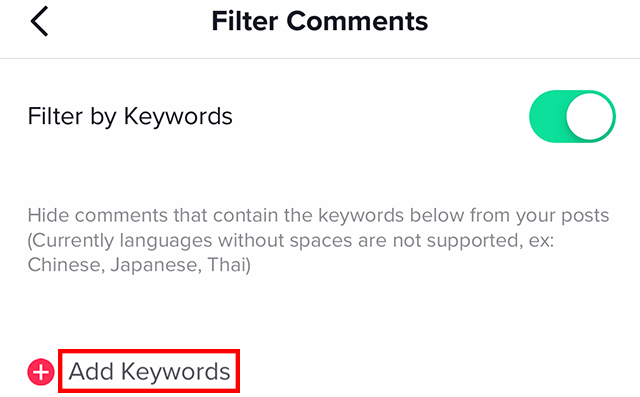 From there, you can tap “Add Keywords” again to add another keyword to your list. You can repeat this process as many times as you want until you’ve added all of the keywords that you want to filter to your list. 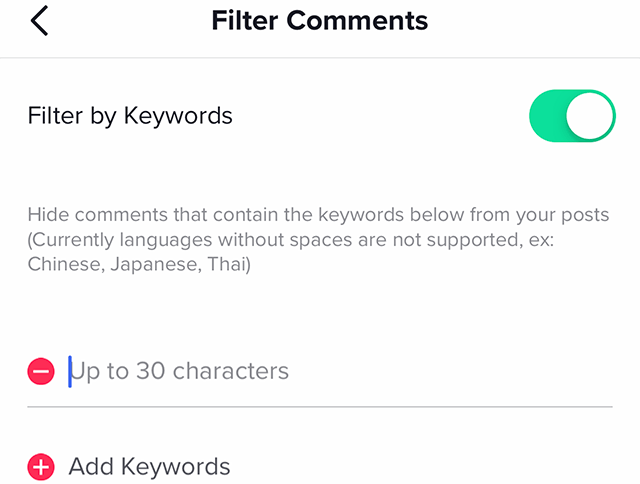 When a user posts a comment on one of your posts containing any of these keywords, the comment will be hidden from your post. Note: You can repeat these steps whenever you want to add more keywords to your list at a later time. You can also remove keywords from your list by tapping the keyword you want to remove, and then tapping the red-and-white circle to the left of the keyword.